Following January's alert to 2,900 owners of model-year 2006 Ford Ranger pickup trucks to stop driving their vehicles immediately, Ford has released a new statement adding 33,428 2006 Ford Rangers to the Do Not Drive list. 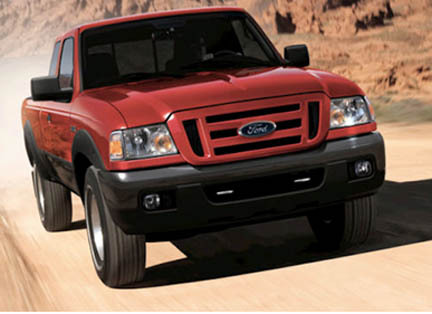 Ford is advising owners of certain additional North America 2006 Ford Ranger vehicles with Takata non-desiccated airbag inflators to stop driving their vehicles and contact their dealers immediately for repairs. The 33,428 vehicles, which were previously under a separate Takata airbag inflator recall, have an elevated risk to safety posed by airbag inflators that may have a higher risk of rupturing in the event of a crash than other recalled Takata inflators. Ford is advising these owners of certain Ford Rangers to stop driving their vehicles so dealers can make repairs immediately. Takata airbag inflators can explode with excessive force, unleashing metal shrapnel inside cars and trucks, and have injured more than 200 people, and killed 22. The defect led Takata to file for bankruptcy protection in last June. Affected vehicles include certain 2006 Ford Rangers built at Twin Cities Assembly Plant from Aug. 10, 2005 to Dec. 15, 2005 and from August 5, 2005 to November 4, 2005. Approximately 30,603 vehicles are located in the U.S. and 2,825 in Canada. This new recall brings the total number of Takata airbag related vehicles to a total of 36,330. The company has said dealers will pick up the Ranger trucks from owners and provide a loaner vehicle while repairs are done.